Since its formation in 1984, Soundgarden has become one of the world’s most important and influential rock bands – a generation-changing, multiplatinum-selling, Grammy®-winning group whose music has stood the test of time. To commemorate the band’s 35th anniversary, A&M/UMe is issuing a series of Soundgarden albums on limited-edition color vinyl. 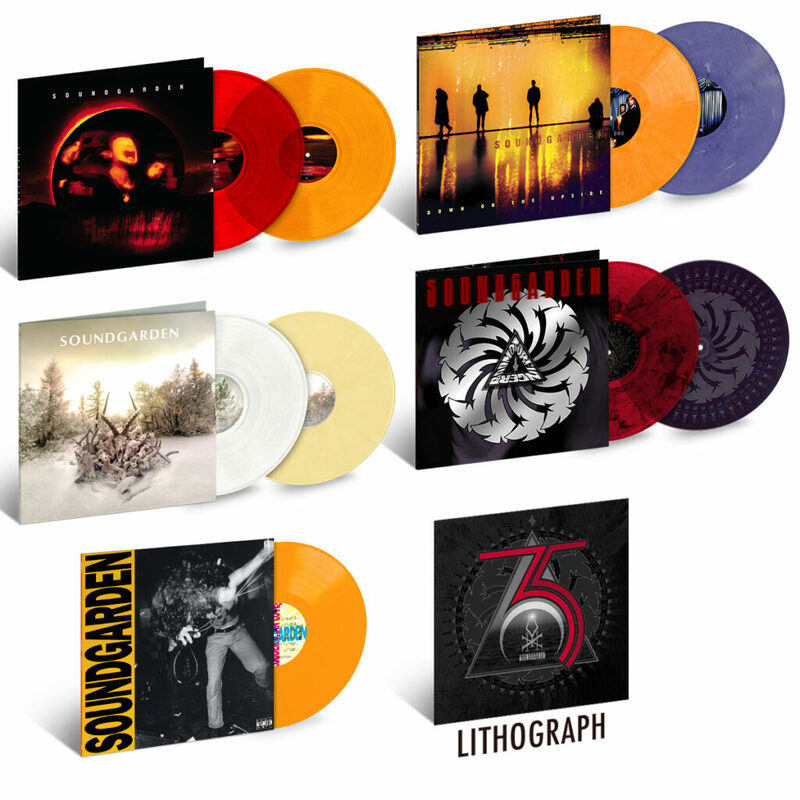 For a limited time, fans can pre-order all five albums in the series at discount, and also receive an exclusive deluxe lithograph designed and signed by Soundgarden’s long-time creative director Josh Graham.